Gyopár Club Hotel and Conferance center is located 800 meter from Orosháza-Gyopárosfürdő Healthy,-Lido and Waterpark. The Hotel is situated in silent, calm area, in an 50 hectare park. 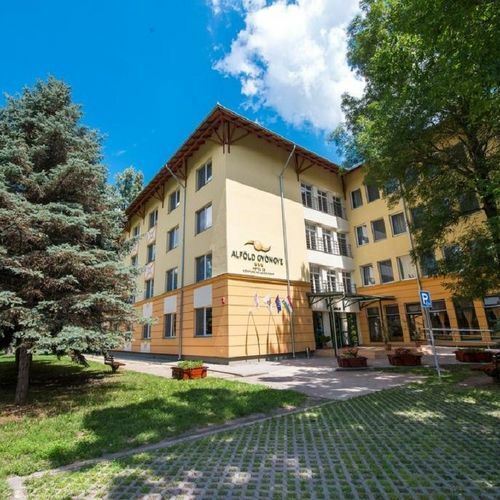 This hotel is absolutely ideally for for family with childrens, business men, and those who would like to relax, and cure himself in the Spa, Wellness Center. There are 70 rooms in our Hotel. 7 rooms are single, 54 rooms are double, 3 rooms are triple bedded apartments, and 6 apartments for 4 person. Our 3 and 4 bed rooms have two place, a living room, and a bedroom. The rooms are equipped with Tv, telephone, fridge, shower/bath. The Hotel and Conference center is side by side. It is hole with roofed passage. There are 5 different coference rooms. 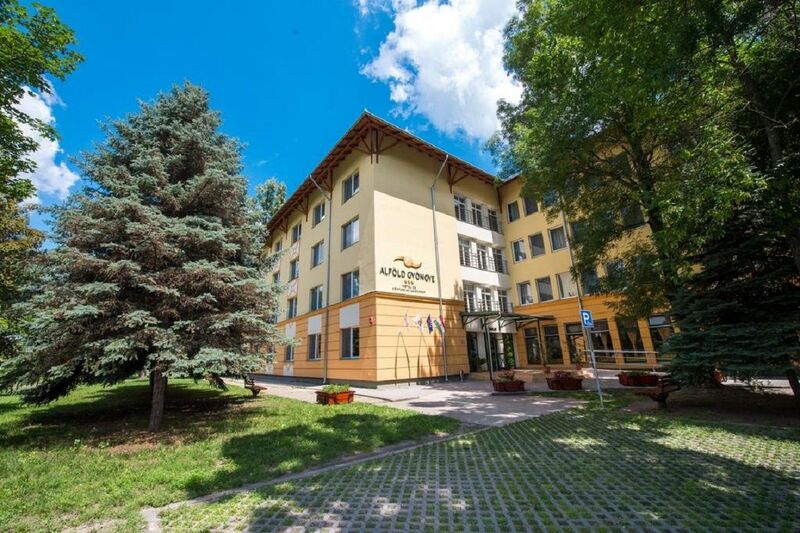 The rating of Alföld Gyöngye Hotel Gyopárosfürdő is 9.1 from the maximum 10, 754 based on actual and valid guest ratings and reviews.